We've seen Hollywood make some really silly choices in the nostalgia it's exploiting these days, but as a gamer, this is one of the most ridiculous. 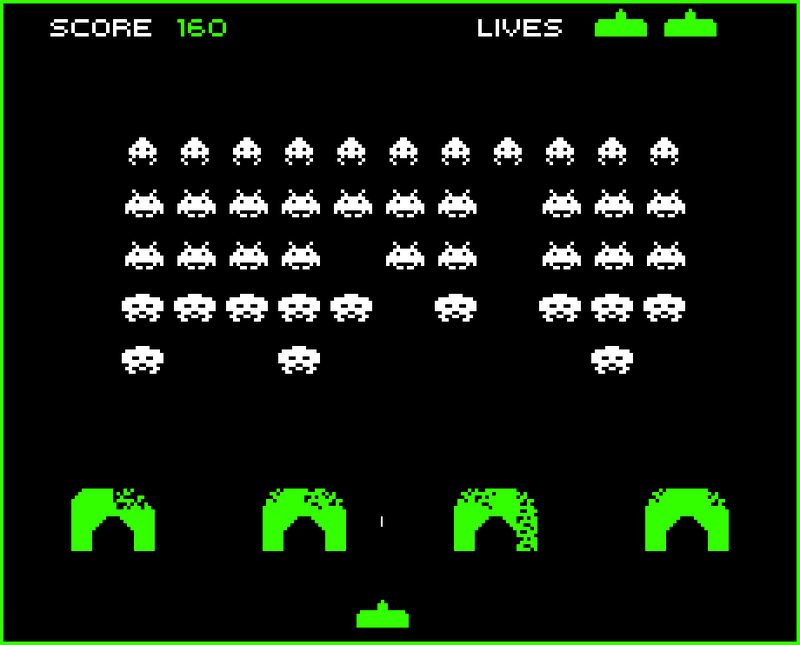 Space Invaders, the 1978 arcade classic from Japan, has a brand new film in the works at Warner Bros. studios. The Wrap points out that the only name attached to the project is Akiva Goldsman, screenwriter and producer of I Am Legend, Winter's Tale, and the Paranormal Activity franchise. Don't look now, but his credits also include beloved classics Batman Forever and Batman & Robin. Yesterday, I pointed out with the Uncharted film that video games are a little too detailed these days with modern day graphics to make an accurate recreation with real life actors. Space Invaders is the exact polar opposite with its low detailed sprites and open interpretation, but that it and of itself is why this is also a bad idea. Space Invaders has no storyline, and it has no characters other than the seafood inspired aliens raining down on Earth in a predictable pattern. It is the most basic setup for a generic alien invasion, and to fill in the gaps, the screenwriters can make up any old trite they please and call it a day. Love triangles, troubled father/son relationships, politics. Standard fare. I can already picture it. Is it really Space Invaders at that point, though? To make an adaptation, there has to be some kind of story, character, and mythology to wrap itself around, but you won't find such things here. Think of that wonderful Battleship movie and you'll have a decent comparison. In fact, much of the intrigue of Space Invaders lies around the mystery of the history and popularity of the game. For example, the game was so popular in Japan during 1978 that the country suffered from a shortage of 10 yen coins. That little tidbit, whether its urban legend or fact, is far more interesting than the setup of the game. The aliens in the game are inspired by Japanese seafood like squids and crabs, and they are also the first video game "characters" ever in that they have personality and aren't just blocks and tubes. Again, far more interesting than the actual game itself. If Goldsman can come up with a clever screenplay in which retro arcades cause pixelated sushi to come down and conquer 1970's bubble era Japan, I'm totally game. If Japan can only fight back by training disgruntled Japanese salary men to fire huge tanks with standard arcade decks, sign me up. If the war faces crisis because the government can't whip up the 10 yen coins to train its soldiers, I'll die of happiness. Judging by his credits though, none of these scenarios is going to be the case, and this will be standard alien invasion fare below the like of Independence Day and the rest of our nostalgia exploitation these days.